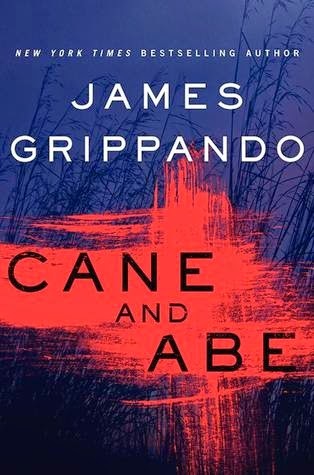 The newest posting at the crime page is for Cane and Abe, a new thriller from James Grippando. You'll find the post here. My husband, who is much more of a thriller reader than I am, loved it. "Samantha died too soon. Abe Beckham's new wife has helped him through the loss, but some say it was a step back to marry Angelina, a love from Abe's past. Abe doesn't want to hear it, and through the ups and downs, he's even managed to remain a star prosecutor at the Miami State Attorney's Office. Then everything goes wrong. A woman's body is discovered dumped in the Everglades, and Abe is called upon to monitor the investigation. The FBI is tracking a killer in South Florid they call "Cutter" because his brutal methods harken (sic) back to Florida's dark past when machete-wielding men cut sugarcane by hand in the blazing sun. But when Angelina goes missing, the respected attorney finds himself under fire. Suspicion surrounds him. His closest friends, family, professional colleagues and the media no longer trust his motives. Was Angelina right? Was their marriage not what they'd hoped for because he loved Samantha too much? Or was there another woman ... and a husband with a dark side who simply wanted his new wife gone?"